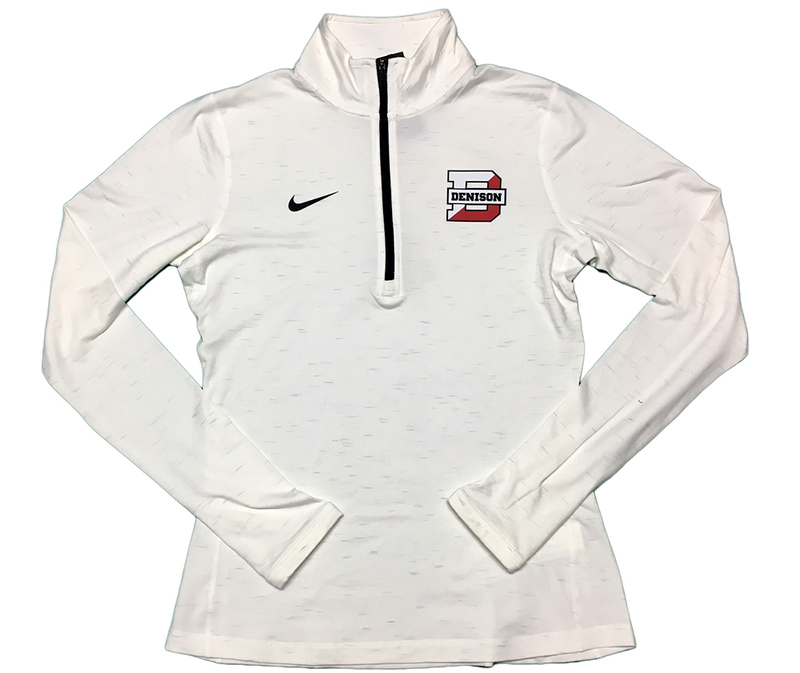 Denison Womens Nike DriFit Element 1/2 Zip White Running Shirt features our fastest-drying fabric and excellent ventilation to help you stay cool and completely comfortable from start to finish. Updated Dri-FIT Knit fabric wicks sweat from your body faster and dries more quickly than ever before, helping you stay comfortable throughout your run. The lightweight seamless construction, made of nylon and polyester yarns, feels smooth against your skin to help reduce distractions as you move.